P.T. Barnum’s cousin wanted to go down in history as a statesman and an industrialist, but he could never escape his nickname: Seven Mule Barnum. That meant the man could draw $7,000 to buy votes from a secret campaign fund. P.T. Barnum actually ran for Congress against Seven Mule Barnum and lost. He complained bitterly about his cousin during the campaign. But when Seven Mule Barnum later failed to win re-election to the U.S. Senate, Mark Twain was delighted. He was born William Henry Barnum on Sept. 17, 1818, in Boston Corners, Mass., then known as the state’s Badlands. His family, however, had an iron smelting business in Lime Rock, Conn. He attended public school until his father apprenticed him as an iron founder in Connecticut. Upon adulthood his father made him a partner in the business. The Barnum family allied with the wealthy Richardson family when William’s sister married Leonard Richardson. Barnum & Richardson ran a foundry in Lime Rock from 1840 to 1919. They also ran quarries, mines and fabricating businesses, making rail car wheels. In 1858 they bought the Beckley Furnace in East Canaan, now Connecticut’s only official industrial monument. 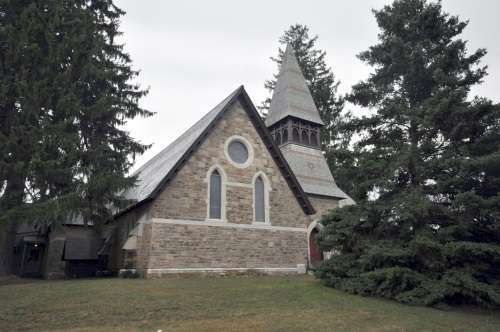 The families also paid to build Trinity Church in Lime Rock. According to one story, they had attended St. John’s Episcopal Church in Salisbury. To break the monotony of the long carriage ride home, they raced each other. Seven Mule Barnum, who owned excellent race horses, always won. One winter day, however, he came in second and then decreed that Lime Rock needed a new church. 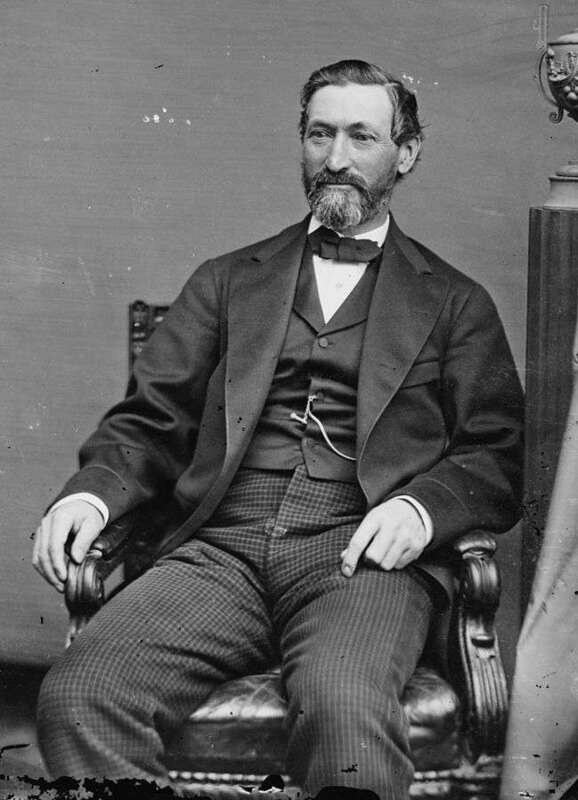 Still known as William Henry Barnum, he began his political career at the age of 33, winning election as a Connecticut state representative. As a 19th century Machiavelli, he became the political boss of Fairfield County – at least according to his cousin. Trinity Church in Lime Rock, Conn.
At 49, William Henry Barnum then set his sights on a grander stage: the United States Congress. Phineas T. Barnum, his third cousin, once removed, stood in his way, running for the seat as a Republican. William Henry Barnum beat his cousin and took his high living to Washington. He brought with him a large set of dinnerware patterned after Abe Lincoln’s presidential china. Cover of Harper's Weekly showing Seven Mule Barnum carrying the forged letter on his back. He served 10 years in Congress, then served out three years of a vacant U.S. Senate seat starting in 1876. The Democratic Party also named him chairman of the Democratic National Committee. E.L. Godkin, editor of the New York Nation, commented, "The Democrats prepared the way for the ruin of their reputation by putting a man like Barnum in the chairmanship of their committee." He almost immediately earned the nickname Seven Mule Barnum by authorizing $7,000 to buy votes in Indiana for the Democratic presidential campaign, Samuel Tilden. Though Tilden won the popular vote he lost the Electoral College in one of the most disputed elections in history. He was so close to Samuel Tilden that Tilden contributed $55,000 to the Democratic campaign fund in 1880 on the condition that Barnum remain as head of the DNC. Seven Mule Barnum outdid himself in the presidential election of 1880, which set James A. Garfield against Winfield Scott. A few days before the election, a forged letter appeared in newspapers across the country. It mimicked Garfield’s handwriting and supposedly demonstrated his sympathy for Chinese immigration, which would surely stir up his base against him. People immediately assumed Seven Mule Barnum promoted the fake letter; he may have even ordered it. Garfield successfully fought off the accusation and won one of the closest elections in U.S. history. 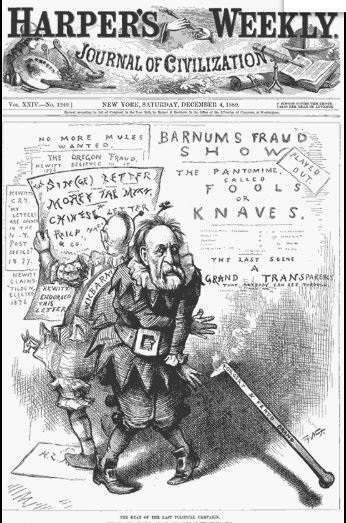 That same year Seven Year Barnum lost re-election to his Senate seat, to Mark Twain’s delight. Twain, a Republican, gave a speech in Boston shortly after the election. Newspapers across the country carried his remarks. In times past we have been represented in that Senate by a man who has made himself immortal as -- well, I won't call him hard names -- William H. Barnum -- but with all his rascality, and that is a mild term (laughter), he failed -- he failed (applause), and has got to be conspicuous to the end of his life as the man who has simply made Jack Sheppard [a legendary London thief] respectable. And then he recited a parody of a Leigh Hunt poem about a man dreaming about an angel who wrote in a golden book. Seven Mule Barnum asked the angel to write him down as one who serves his fellow men. Seven Mule Barnum died on April 30, 1889, and is buried in Lime Rock Cemetery in Salisbury, Conn.